Alistair Gordon Lethbridge-Stewart began his television career in Doctor Who as a Colonel in The Web of Fear and ended it, more than 40 years later, with a knighthood in the Sarah Jane Adventures serial Enemy of the Bane. In the interim the Brigadier, as he was most frequently and affectionately known, appeared in 103 TV episodes of Classic Series Doctor Who¸ the 1993 30th Anniversary Special Dimensions in Time, and two episodes of the Sarah Jane Adventures (2008). The character’s death was acknowledged in the Series 6 episode The Wedding of River Song (2011). The Brigadier also appeared as a character in countless audio dramas, books, cartoons and short stories right up until the actor Nicholas Courtney’s death in February 2011. Lethbridge-Stewart appeared alongside the Second, Third, Fourth, Fifth and Seventh Doctors in serials and with the Sixth Doctor in Dimensions in Time. Nicholas Courtney, however, had the distinction of also appearing as Bret Vyon in the first four episodes of the First Doctor’s serial, The Daleks’ Master Plan. Interestingly, Courtney’s first and last appearances in Classic Series Doctor Who were alongside fellow actor Jean Marsh. Marsh had played Courtney’s sister, Sara Kingdom, in The Daleks’ Master Plan and was Morgaine in 1989’s Battlefield. To tangle the interweaving web of Doctor Who even further, Marsh had been married to Jon Pertwee, the Third Doctor, between 1955 and 1960. Brigadier Sir Alistair Gordon Lethbridge-Stewart was the longest running recurring human character in Doctor Who by a country mile. The only villainous characters of greater longevity have been the Daleks, who first appeared in 1963, the Cybermen (1966), The Ice Warriors (1967) and quite ironically for the purposes of this review, the Great Intelligence (1967). And to think that contract to appear as Colonel Lethbridge-Stewart was only four weeks long! Aside from the creation of the iconic Lethbridge-Stewart, one would be hard pressed to find another Doctor Who story that had such a long term influence on the series than The Web of Fear. As a classic example of the “base under siege” genre, it was the first to be set in present day London. 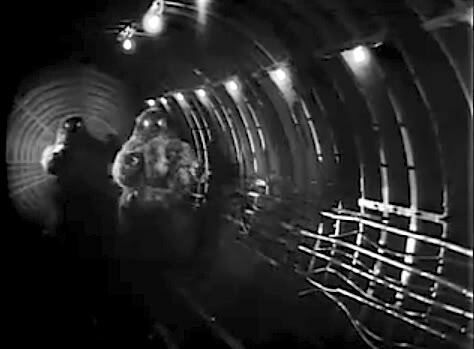 Transferring the previously Himalayan bound Yeti to the London Underground provided both a contemporary and identifiable point of reference for viewers. The sense of terror was greatly amplified when monsters were lurking in the tunnels and tube stations that most viewers knew so well. Incidentally, one of the actors in the Yeti suits was none other than John Levene, who would go on to portray another long time recurring character, UNIT’s Sergeant Benton. 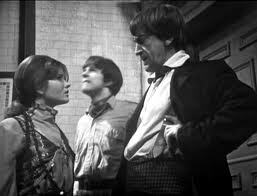 The Second Doctor’s co-operation with the military in The Web of Fear would resurface in Season Six’s The Invasion, in which both Lethbridge-Stewart and Benton were members of the newly established United Nations Intelligence Taskforce (UNIT). The Invasion was the template for the Third Doctor’s earthbound exile in Seasons Seven and beyond. But more about that when I review The Invasion. The appearance of the Yeti in The Abominable Snowmen, and its sequel, The Web of Fear, propelled them to iconic status. As a consequence of the writers, Henry Lincoln and Mervyn Haisman’s, falling out with the Doctor Who production team the Yeti would only appear again briefly in the 1983 Twentieth Anniversary Special, The Five Doctors. 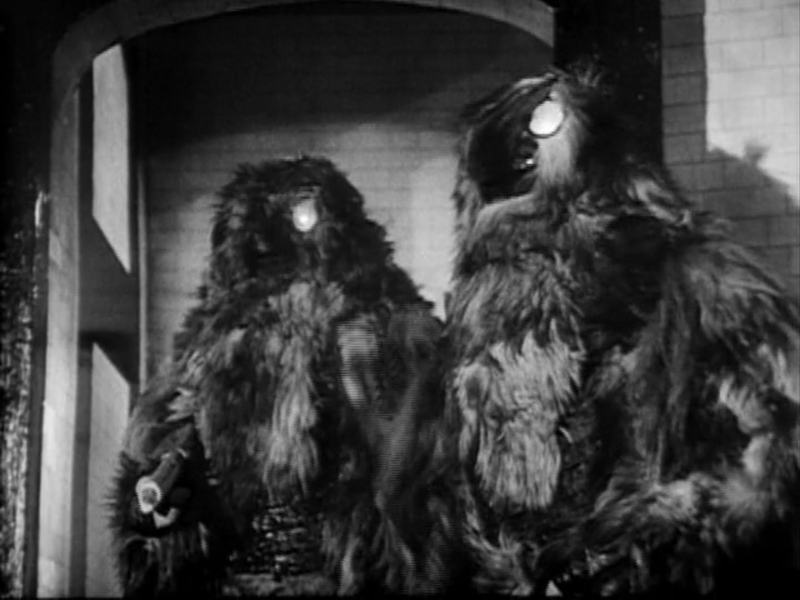 The Yeti’s short screen time had little effect on the creatures’ iconic status. 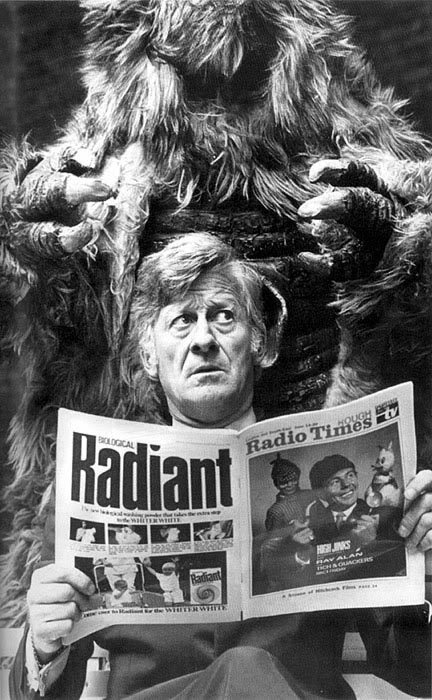 Although never appearing alongside the Yeti on screen, Jon Pertwee is fondly remembered for his oft quoted phrase, “Yeti on the loo in Tooting Bec”. What Pertwee was referring to was the direction that Doctor Who had taken during the Third Doctor’s earthbound tenure. The Doctor was confronting the monsters, not on an alien planet, but in the viewers’ own backyards, or toilets, or under their city …. Akin to the expression, “Behind the Sofa”, “Yeti on the loo” quickly entered the Who vocabulary. Reading a paper in the loo is a perfectly reasonable thing to do. But did the Third Doctor anticipate meeting a Yeti in the loo? This “Yeti on the loo” in-joke was most probably lost on a great many New Series viewers to part three of Pond Life, the prelude mini-adventures to Series Seven. The pun was much more than just the play on words of “Ood” and “loo”, and was most certainly a shout-out to Classic Series Who. Give a thought to the late Jon Pertwee as you watch Rory and Amy’s startled responses to the Ood in their bathroom. Rory and Amy are confronted by an unexpected guest in Part 3 of Pond Life. Before we leave the Yeti, The Web of Fear was the last serial to feature the sublime composition by British Composer, Martin Slavin, entitled Space Adventure. Ordinarily the Cybermen’s theme, it provided a superb backdrop for their first three stories, The Tenth Planet, The Moonbase and The Tomb of the Cybermen. In its last appearance in Who this composition accompanied the Yeti in Covent Garden. The Web of Fear is not without its failings. There is an unfortunate negative Jewish stereotype in episode one in the form of Julius Silverstein, a wealthy artefact collector and business person who runs his own museum. Having acquired a deactivated Yeti from Edward Travers, he refused to return it after being advised that the Yeti’s control sphere had been reactivated and disappeared. The consequence of this belligerence was Silverstein’s own death at the hands of the reactivated Yeti. 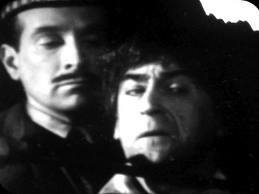 When Terrance Dicks novelized the serial as Doctor Who and the Web of Fear in 1976 the character’s name was changed to Emil Julius in an attempt to avoid the negative stereotype. As equally offensive, but rarely mentioned, example of racism is the characterization of Driver Evans, a Welsh officer of the British Army and a member of Lethbridge-Stewart’s team. Evans is portrayed as unintelligent and cowardly, and he clearly wants to dessert from the Army. Had there been more than one Welsh Army officer in the serial then this Cymrophobia (anti-Welsh sentiment) could have been averted by presenting the other character(s) as courageous. Evidently Terrance Dicks was also concerned by this Cymrophobia and had Lethbridge-Stewart state that ordinarily the Welsh are good soldiers. 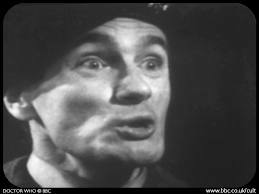 The character of Driver Evans was evidence of Doctor Who’s Cymrophobia. 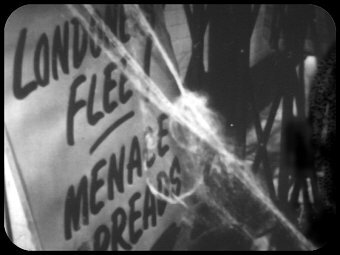 The unfortunate stereotyping of the age aside, The Web of Fear is a tremendously suspenseful serial beautifully directed by Douglas Camfield. High up on many Who fans lists of “most wanted” missing serials, The Web of Fear’s influence on the future of Doctor Who could never have been imagined when its episodes were junked. 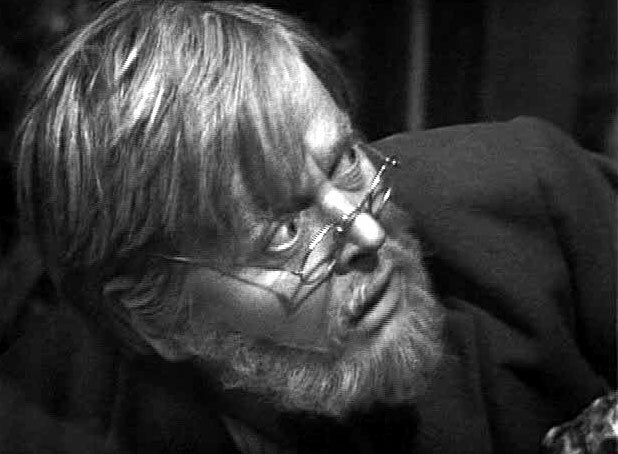 Only episode one remains in the BBC Archives, which is one more than the next serial in my marathon, Fury From the Deep. Join me for my next review as I examine how Australian film censorship has given us a tantalizing glimpse of this long lost story. 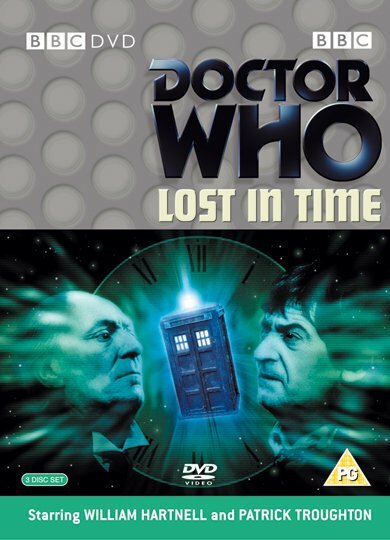 Episode 1 of The Web of Fear is held in the BBC Archives and has been released on the triple DVD set, Lost in Time. 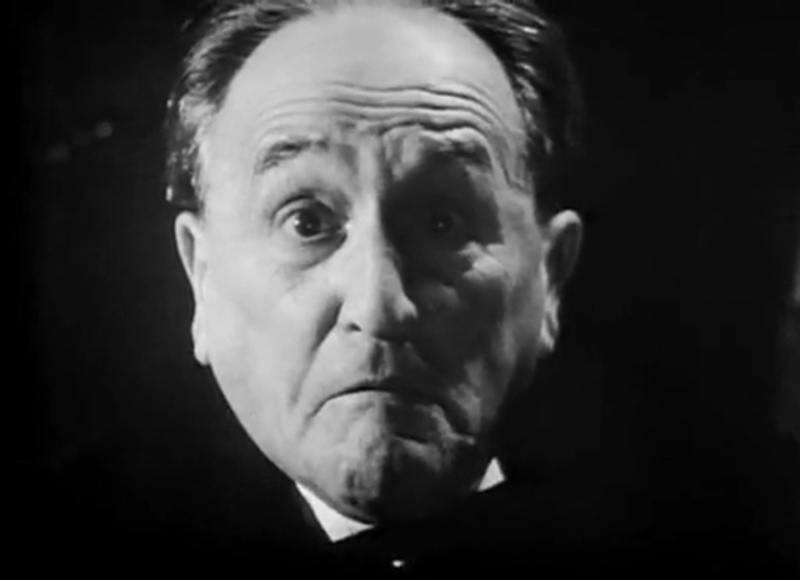 The Web of Fear was originally broadcast in the UK between 3 February and 9 March 1968.